Thermal Swimwear for kids Cold water swimwear is the perfect solution for your kids at chilly pools and windy beaches. This way they can stay warm and enjoythe activity. Wear to stay warm but still be flexible. Made from a unique Lycra Fleece combination, SunWay’s Thermal Swimwear for kids is perfect for Cold Water swim , Great for swimming, water sports or any cold-weather recreational water activity. The thermal shirt’s outer lining consists of the highest quality European-made Lycra, which is smooth, stretchy and extremely durable while the inner lining is made of a fleece fabric . SunWay’s Lycra Fleece shirts match great with the Thermal Lycra Fleece Tights. Moreover, the Thermal Lycra Fleece Shirts will also protect your kids from harmful sun rays. SunWay’s sun protective clothing designed for sun protection rated UPF50+ for its highest level of ultraviolet (UV) protection, Blocking 98% from UVA & UVB.Thermal suits are excellent for water aerobics, swimming lessons, and even open water activities. Have fun in the water and stay warm! Available in all sizes. For water sports and swimming , we recommend choosing a tight fitting shirt since they naturally tend to stretch a little when wet. 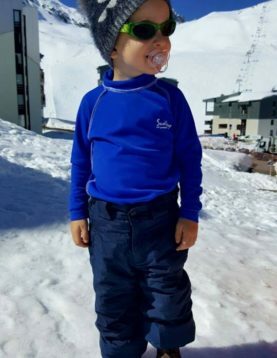 Made from a unique Lycra Fleece combination, SunWay’s Kids Thermal Lycra Fleece Pants is perfect for swimming, water sports or any cold-weather recreational water activity. Thermal Lycra Fleece Pants are available for men, women, boys, and girls. Thermal Swimwear for kids Cold water swimwear is the perfect solution for your kids at chilly pools and windy beaches. This way they can stay warm and enjoy the activity. Wear to stay warm but still be flexible. 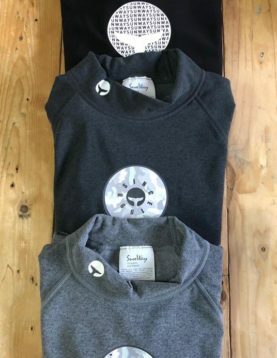 Made from a unique Lycra Fleece combination, SunWay’s Thermal Swimwear for kids is perfect for Cold Water swim, Great for swimming, water sports or any cold-weather recreational water activity. The thermal shirt’s outer lining consists of the highest quality European-made Lycra, which is smooth, stretchy and extremely durable while the inner lining is made of a fleece fabric . SunWay’s Lycra Fleece shirts match great with the Thermal Lycra Fleece Tights. Moreover, the Thermal Lycra Fleece Shirts will also protect your kids from harmful sun rays. SunWay’s sun protective clothing designed for sun protection rated UPF50+ for its highest level of ultraviolet (UV) protection, Blocking 98% from UVA & UVB. Thermal suits are excellent for water aerobics, swimming lessons, and even open water activities. Have fun in the water and stay warm! Available in all sizes. For water sports and swimming, we recommend choosing a tight fitting shirt since they naturally tend to stretch a little when wet. Thermal Swimwear for kids Cold water swimwear - Black is the perfect solution for your kids at chilly pools and windy beaches. This way they can stay warm and enjoy the activity. Wear to stay warm but still be flexible. 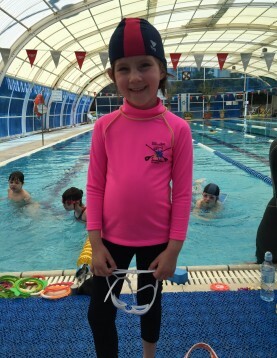 Made from a unique Lycra Fleece combination, SunWay’s Thermal Swimwear for kids is perfect for Cold Water swim, Great for swimming, water sports or any cold-weather recreational water activity. The thermal shirt’s outer lining consists of the highest quality European-made Lycra, which is smooth, stretchy and extremely durable while the inner lining is made of a fleece fabric . SunWay’s Lycra Fleece shirts match great with the Thermal Lycra Fleece Tights. Moreover, the Thermal Lycra Fleece Shirts will also protect your kids from harmful sun rays. SunWay’s sun protective clothing designed for sun protection rated UPF50+ for its highest level of ultraviolet (UV) protection, Blocking 98% from UVA & UVB. Thermal suits are excellent for water aerobics, swimming lessons, and even open water activities. Have fun in the water and stay warm! Available in all sizes. For water sports and swimming, we recommend choosing a tight fitting shirt since they naturally tend to stretch a little when wet. SunWay’s Thermal Lycra Fleece Shirt with zipper with zipper is the perfect solution for all water sports lovers, who do not give up on Paddleboarding, Kayaking, Surfing, Sailing or any other water sport, when the temp dropped down. Made from a unique Lycra Fleece combination, SunWay’s Thermal Lycra Fleece Shirt with zipper - Bordeaux is perfect for swimming, water sports or any cold-weather recreational water activity. 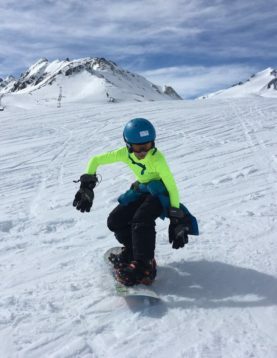 The thermal shirt’s outer lining consists of the highest quality European-made Lycra, which is smooth, stretchy and extremely durable while the inner lining is made of a fleece fabric that will keep you toasty no matter how cold the water is. SunWay’s Thermal Lycra Fleece shirts are designed to maintain the body’s temperature in cold environmental conditions. Perfect Solution at any chilly pool and windy beaches. Moreover, the Thermal Lycra Fleece Shirts will also protect you from harmful sun rays. SunWay’s sun protective clothing is clothing that is designed for sun protection. It is manufactured from a fabric that is rated for its level of ultraviolet (UV) protection. In addition, a novel weave structure and denier (related to thread count per inch) produces unique sun protective properties. Available in all sizes. For water sports, we recommend choosing a tight fitting shirt since they naturally tend to stretch a little when wet. Thermal Lycra Fleece Shirts are available for men, women, boys, and girls. 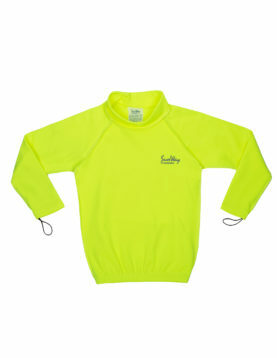 Made from a unique Lycra Fleece combination, SunWay’s Thermal Lycra Fleece Shirt is perfect for swimming, water sports or any cold-weather recreational water activity. 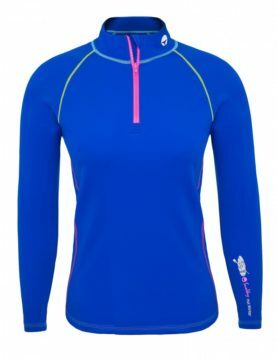 The thermal shirt’s outer lining consists of the highest quality European-made Lycra, which is smooth, stretchy and extremely durable while the inner lining is made of a fleece fabric that will keep you toasty no matter how cold the water is. SunWay’s Thermal Lycra Fleece shirts are designed to maintain the body’s temperature in cold environmental conditions. Made from a unique Lycra Fleece combination, SunWay’s Thermal Lycra Fleece Shirt is perfect for swimming, water sports or any cold-weather recreational water activity. 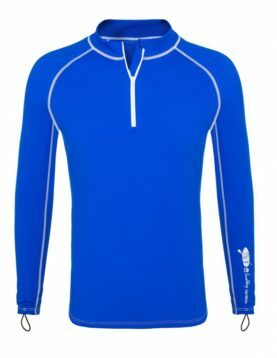 The thermal shirt’s outer lining consists of the highest quality European-made Lycra, which is smooth, stretchy and extremely durable while the inner lining is made of a fleece fabric that will keep you toasty no matter how cold the water is. 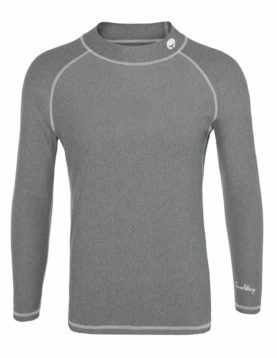 SunWay’s Thermal Lycra Fleece shirts are designed to maintain the body’s temperature in cold environmental conditions. Available in all sizes. For water sports and swimming, we recommend choosing a tight fitting shirt since they naturally tend to stretch a little when wet.